SINGAPORE – A 47-year-old man was arrested yesterday for allegedly making a false bomb threat at Golden Mile Tower. 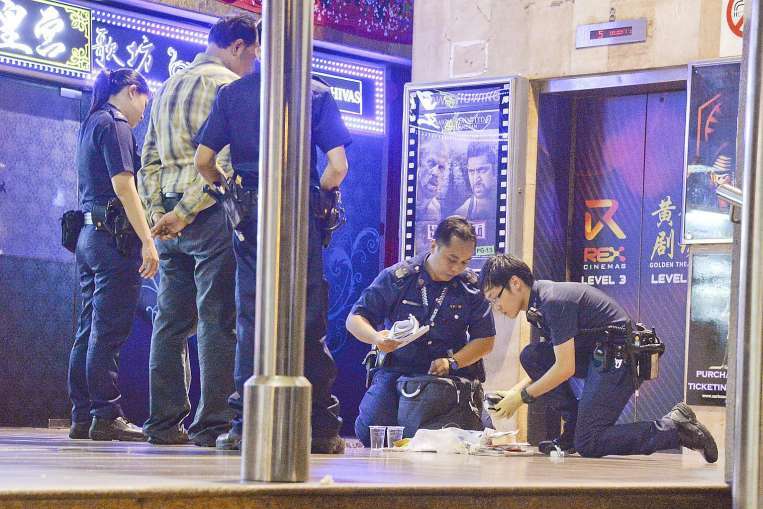 In the prank call made on Monday night, he had claimed that a friend who was about to travel to Kuala Lumpur by bus was a “terrorist with a bomb in his luggage”, Lianhe Wanbao reported. His friend – a businessman, 47, who declined to give his name – said he received the call as he was about to board the bus from Golden Mile Tower. The suspect told him he wanted to buy a bus ticket as well and asked him to hand the phone over to the ticket staff of the tour bus company. Over the phone, the man allegedly told the staff member to “be careful” as his friend was a “terrorist from Dubai” who had a “bomb in his luggage”. The 40-year-old employee later told a colleague to stop the businessman from boarding and called the police in secret. The businessman said he was confused as the staff refused to tell him why he could not board. He also said he suspected his friend was envious because he was going to Kuala Lumpur. Police said they received a call at 9.59pm on Monday requesting assistance at 6001 Beach Road because of a bomb threat. Officers arrived 10 minutes later, but found no bomb in the luggage. The suspect was taken into custody yesterday morning under a breach of Prohibition Against False Threats Of Terrorist Acts. If convicted, he faces a jail term of up to five years, and/or a fine not exceeding $100,000.